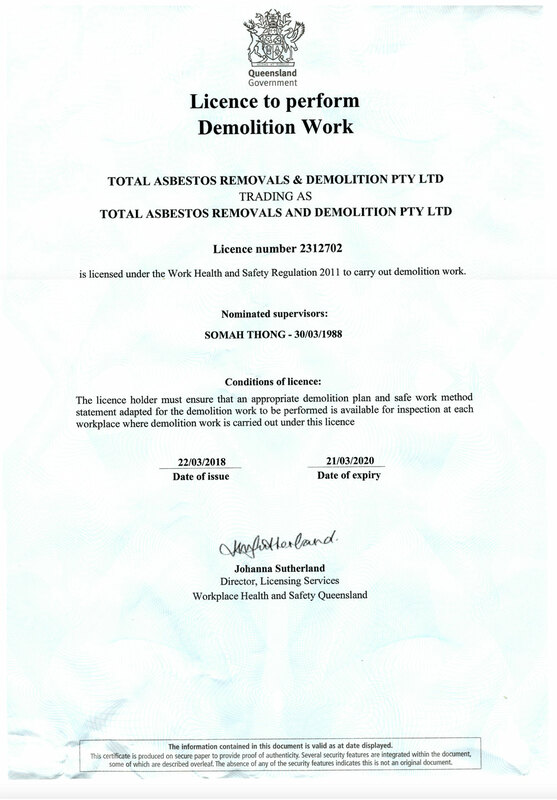 Total Asbestos & Demolition has been operating in and around the asbestos industry for several years now and have found themselves in the position of one of Queensland’s major asbestos removal and demolition companies. We have secured this by providing our clients and customers with brilliant service at very reasonable & affordable pricing. We see ourselves growing as an organisation day by day and focus on making the name Total a well known one within the trade and building industry. Our staff and team members are all fully accredited and qualified in the fields that we service providing you with a safe and professional outcome. 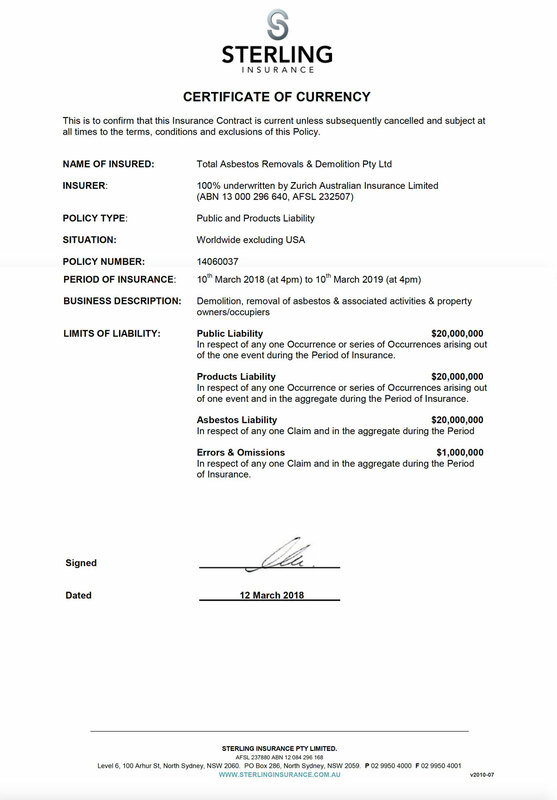 We are currently focusing on servicing the Southern regions of Queensland and will be progressing towards growing into a nation wide company. 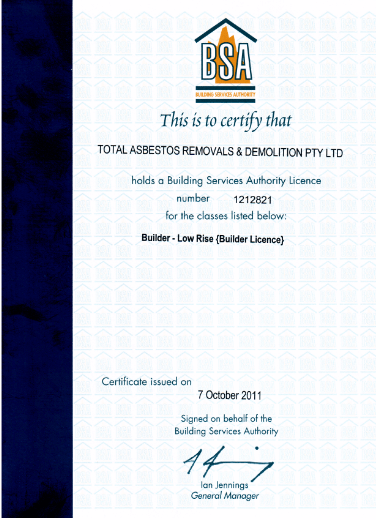 Feel free to contact Total Asbestos & Demolition in regards to any further information required on (07) 3151 0312. 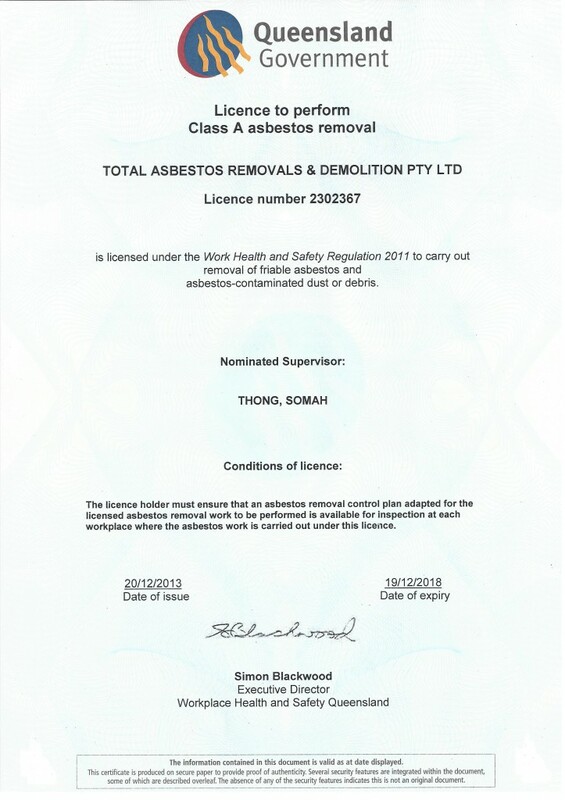 Total Asbestos has been operating in and around the asbestos industry for several years now and have found themselves in the position of one of Queensland’s major asbestos removal and demolition companies.